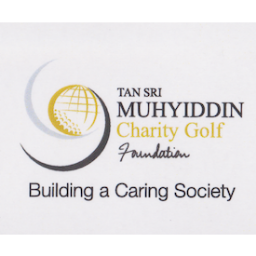 Tan Sri Muhyiddin (TSM) Golf Challenge 2014 should be used as a platform by local amateur golfers to enhance their skill but also try to earn a place in the national squad for the 2016 Olympics in Rio de Janeiro, Brazil. TSM Charity Golf President Tan Sri Effendi Norwawi said amateur golfers need to take the opportunity to show their talent since golf will return as one of the Olympic events after 112 years. “The ambition of TSM charity golf is to come up with real world class players and we have been able to produce some outstanding young golfers who can fight for a place in the 2016 Olympics,” he told reporters at Wisma Bernama, today. TSM Golf Challenge offers winners of the men’s and women’s categories sponsorship worth RM50,000 and RM40,000 respectively, for training at a recognised golf academy besides exposure to various golf tournaments. Meanwhile, President of the Malaysian Golf Association (MGA) Tan Sri Mohd Anwar Mohd Nor said TSM Golf Challenge was an event to scout for “Malaysian Tiger Woods” in golf. He said 80 young golfers below the age of 21 have been selected to participate in this tournaments based on merit points and standings in the World Amateur Golf ranking (WARG) list. “Merit points are earned and accumulated when competing in 13 various amateur tournaments of the “Road to TSM Golf Challenge” including the 112th Malaysian Amateur Open. MGA identified 50 men and 30 women,” he added. Anwar also said that the TSM Golf Challenge has become a “blue ribbon” tournament for amateur players because of the scholarship that was given to the champions. The four-day tournament will kick off on December 4 at the Glenmarie Golf and Country Club in Shah Alam, Selangor with a total prize money of RM180,000.